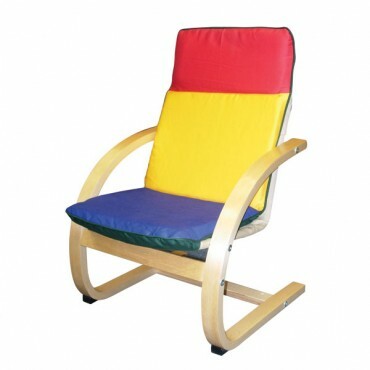 Kid relax chair. 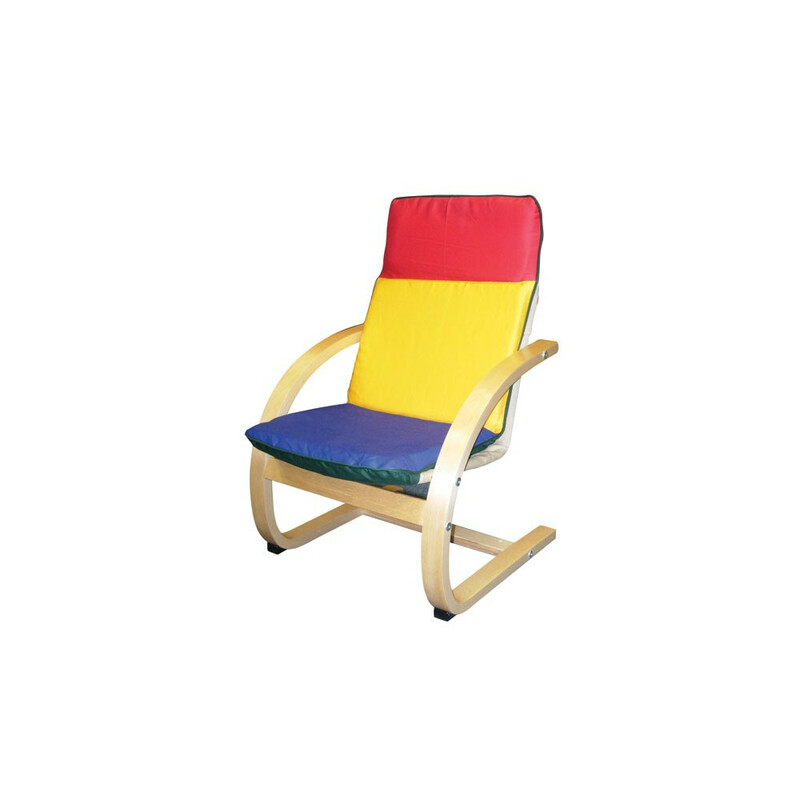 Upholstered part is in 3 color combination, wooden frame is in beech natural color. Your little one will enjoy it.